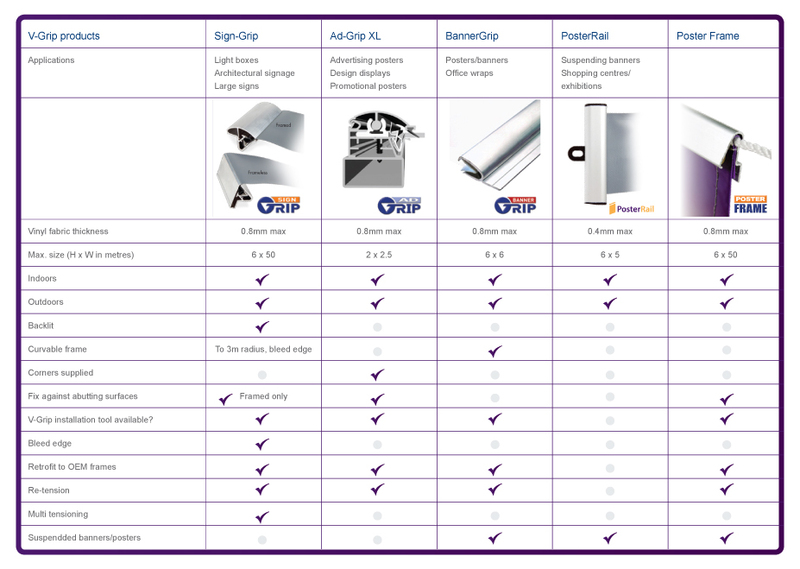 SignGrip® was designed for use with large signs and meets all the requirements for flexface backlit signs on lightboxes. The frameless bleed edge allows maximum light to reach the edges of the frame and SignGrip is readily retrofitted to existing light boxes. Replacement of light tubes or flexface changes are easy with little downtime and low maintenance costs. 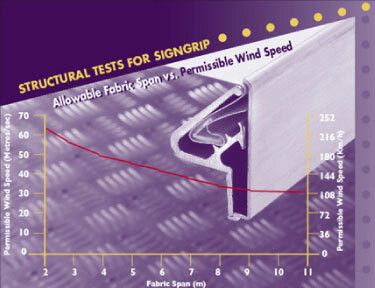 SignGrip is also used for large framed billboard signs and posters for attachment to walls in both indoor and outdoor applications. The adjustable locking system is extremely strong and achieves continuous and even tension on all four sides of the frame. This has made it ideal for exposed windy sites. The frame can be formed into a variety of designs including oval shapes. 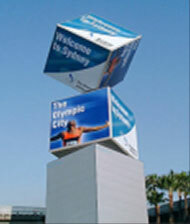 SignGrip® was choosen as the best fastening system for the Sydney International Airport Cubes that welcomed visitors to the Olympic Games.